An artistic design of a cup of coffee to decorate your kitchen or coffee shop. 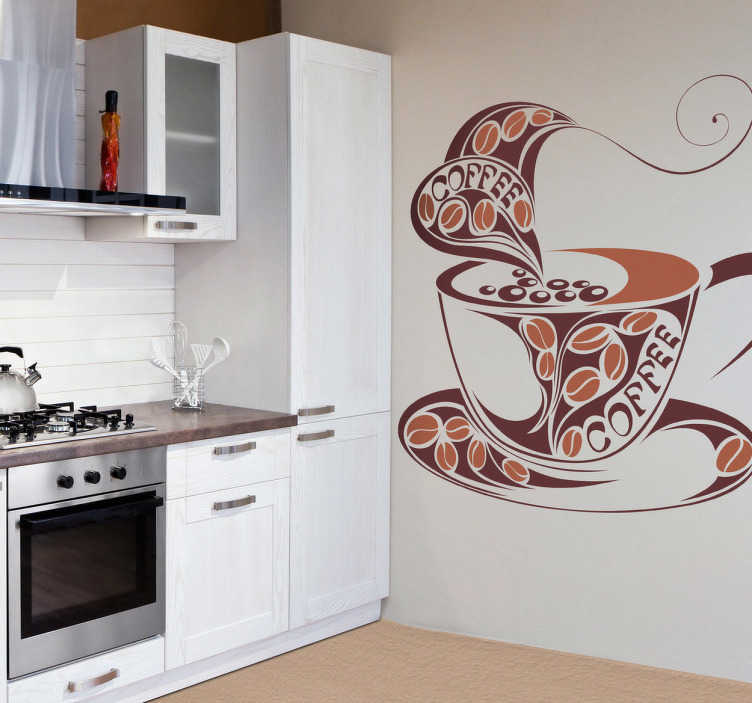 This amazing coffee wall art decal is ideal for coffee lovers! If you love coffee and want to decorate an empty wall in your kitchen or you own a coffee shop and would like to create a pleasant atmosphere then this coffee sticker is for you! It is easy to apply and leaves no residue upon removal.